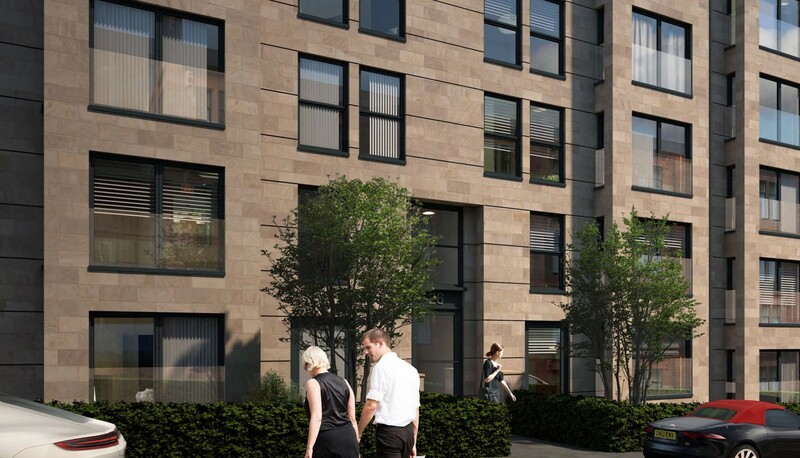 A bid by Westpoint Homes and Coltart Earley, together with LDA Design, to build 63 flats on the site of the former Middlefield School has hit resistance from planners who have raised a multitude of concerns including its planned height, roofscape, articulation and materials. 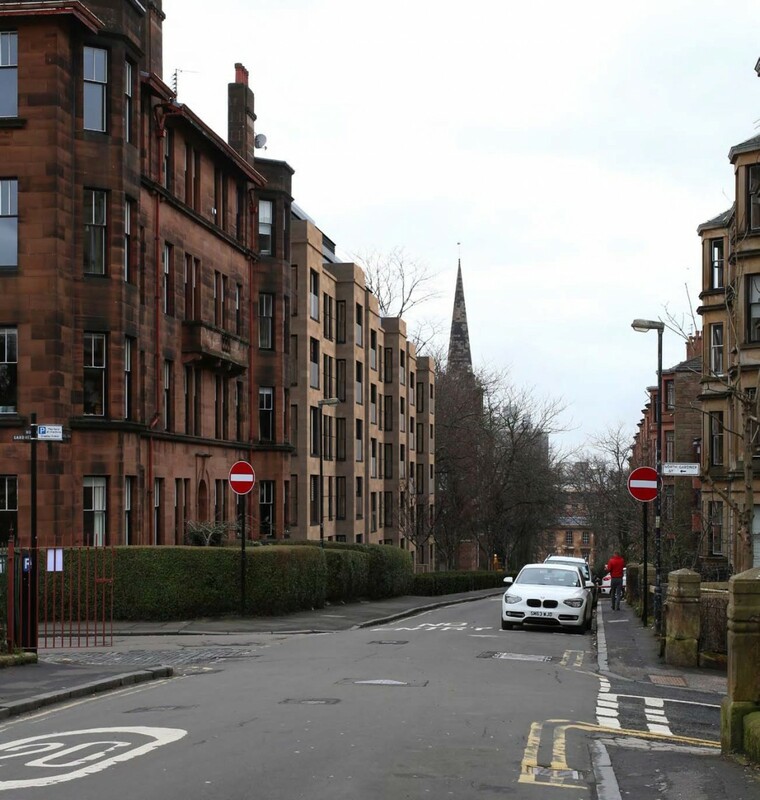 In an addendum to an original submission filed in November last year the applicants seek to dispel these concerns, levelled principally at the flat setback roof, an approach said to ‘jar’ with the pitched profile of neighbouring tenements. 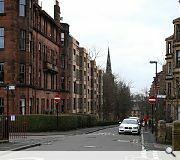 Officials have recommended removal of at least one storey from the planned block to avoid ‘dominating’ its surroundings, exacerbated by the choice of blonde sandstone rather than the red used throughout the street. Countering such concerns Coltart Earley noted no ‘undue concern’ had been raised at the roof treatment during pre-application discussions, pointing to similar local examples where flat metal-clad roof extensions have been permitted. The architects further argue that the roofscape is ‘subservient’ to the ‘urban wall’ of the main elevation and thus shouldn’t be judged on the basis of a simple extrapolation of ridge lines. Addressing the use of blonde sandstone it was claimed that this material offered richer ‘qualities’ over red in terms of tone, reflectiveness and veining. "A multitude of concerns" is the tip of the iceberg as far as I'm concerned. 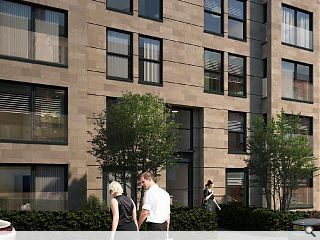 Despite sopporting documentation from the Developer's Planning Consultants, this development flies in the face of GCC planning guidelines and policies and it would hypocritical for consent to be granted in its current form. Obviously this is Council owned land, and the sale will naturally be subject to the sale of such. Being an immediately affected neighbour I'm extremely sensitive about this and the notion of the proposed roof deck, to the rear and on my shared garden boundary, is utter nonsense and will result in a loss of privacy........the whole thing is nonsense. The city council totally screwed up the pre-apps. How on earth did they fail to recognise concerns over the height at that point? Pretty obvious! Not surprised the developer is rather angry! Council will have to answer to the residents of Glasgow of this gets through either now or on appeal. It’s a pretty crappy scheme/ especially the rear car park deck. Awful. Why do you need all that car parking in such a well connected place? Aren’t we supposed to be encouraging sustainable travel? How about reducing the massing to what is regarded as an appropriate contextual response by the planners (and most casual observers), instead of cramming too much in and damaging the the urban realm simply to short term £ gain the developers. It’s simple, but it might just work. And by the way,..... it obviously should be red sandstone, I’d even suggest red brick instead of that buff look. I do not see the issues. It looks good, its form is true to what it is - an apartment block. The use of sandstone, even the veneer of it, works with the local vernacular. I like the bay windows as a updated version of the Victorian and Edwardian predecessors. Simply put, as has been said, surely the problem is the numbers irrespective of duff advice. Roughly a third more units at 63no. (31%) are proposed than would be on a like-for-like basis ie 12 x 4. This, given the context of the surrounding density and narrowness of the streets exacerbates the amount of development which in my book is over-development pure and simple. Looks a good, appropriate scheme to me. I suspect the local Nimbys would complain regardless of the scheme being proposed. CAD monkey...you fail to understand the economics of speculative development. Westpoint will have a baseline profit margin that they will plug into all of their appraisals. All developers have this. Its usually around a gross 20% PBIT. If Westpoint managed to get more units on the site, the winner would be the landowner, who benifiuts from the residual land value and has no doubt got an overage clause in the contract. Buying land is like buying an other real estate. It goes to the highest bidder. The highest bidder is usually the one who can get most developable area and sell that floor area at the highest price. Constant values will be the build cost and the profit margin. Any extra cash will ultimately end up in the vendors back pocket, not in the 'greedy developer's' back pocket. If you look at the CGI cut into the photograph the building is defiantly not dominating or over-bearing. In fact it fits into to streetscape very well and whilst a contemporary (ish) take, blends in well. As with the existing tenements you can't see the stepped roof level from the street. Difficult to see what the drama and fuss is about. I agree with ghost & John - I don't see the problem. In the new d&a they've included many, many recent precedents from around the west end of appartment blocks with similar configs, all of which turned out just fine.